With interest gaining steam toward combating fraud, PointPredictive landed funding from Mosaik Partners, an expansion-stage venture capital fund, to enhance its efforts as a provider of fraud solutions to banks, lenders and finance companies. PointPredictive announced on Wednesday that the company finalized the successful closing of Series A funding earlier this month. While no specific figures were disclosed, Mosaik Partners led the funding round as part of its initiative to invest in commerce-enabling technology companies. “With fraud losses reaching historically high levels here in the U.S., we believe PointPredictive’s technology and consortium approach will become the standard in lending fraud detection,” said Miles Kilburn, a partner at Mosaik. “What interested us in PointPredictive is that they have a proven management team, differentiated technology, a working solution that delivers a compelling ROI to their clients, and explosive growth potential with lenders lining up to participate. This fits right in with our investment profile,” Kilburn continued in a news release. As part of the funding, Mosaik will take a minority interest in PointPredictive. Additionally, Kilburn will join the board of directors of PointPredictive to help the company continue to grow strategically. PointPredictive will use the funding to respond to the growing demand for Auto Fraud Manager and Dealer Trace — solutions that can help finance companies uncover fraud patterns through a collaborative data consortium and machine learning. PointPredictive estimates between $4 to 6 billion in auto loan applications may have misrepresentations that lead to default and chargeoff. Auto Fraud Manager and Dealer Trace can help curb those losses by leveraging sophisticated algorithms that scan and score applications prior to loans being funded. 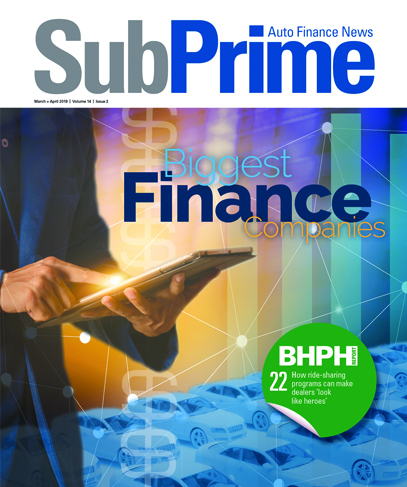 “Auto lenders want to collaborate to stop fraud,” PointPredictive chief executive officer and president Tim Grace said. “In the last six months, we’ve seen tremendous interest in our solution and we need to respond now to help lenders stop auto lending fraud.